ARC Medical is an established provider of Drug&Alcohol testing plus Medicals to support all sectors to include Construction and Railway industries. Part of ARC GROUP UK, ARC Medical was set up following the experiences ARC Academy had with dealing with other medical companies to get their workers through the PTS Medical and Drug & Alcohol Testing. ARC quickly realised that there was an opening for a medical company which would turn up on time, complete the task and report results promptly – something the other providers could not seem to do. When ARC Medical was set up, we placed our whole ethos on delivering the finest and fastest service possible to our clients and their employees – something that we believe we achieve on each and every contract – and to be absolutely honest, if we get it wrong, we fix it fast and make sure it doesn’t happen again – our customer service is second to none. With our Medicals and D&A results (under normal circumstances) being uploaded within 24/48 hours, we are fast becoming market leaders. 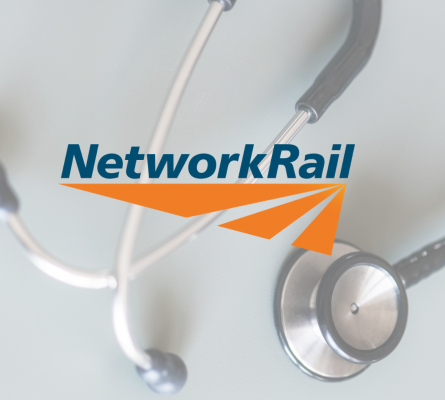 We are fully accredited to perform Rail specific Medicals and D&A’s and issue the relevant certificates to the NR/L2/OHS/018 standards – we also hold accreditation to carry out Construction Better Health (CBH) Medicals, with provider access to upload results to their database. If you want a medical services provider that is fast, reliable and competitively priced, ARC Medical will not disappoint. Registered office: Units 4/5 Centre Court Treforest Industrial Estate, Nr. Cardiff,	Rhondda Cynon Taff	CF37 5YR. You can unsubscribe any time by clicking unsubscribe link at the bottom of any of our email.